After the valiant yet unsuccessful assault on Fort Wagner, the pace of black recruitment accelerated. From a handful of regiments in the summer of 1863, the ranks of the USCT swelled to massive proportions. By late summer of 1864, some 100,000 blacks had donned the Union blue, and before the war ended their numbers surpassed 123,000. Black soldiers built fortifications, guarded critical bridges and railheads, sustained the logistical pipeline, and performed sundry other duties. But the reality of their situation was that black soldiers could not gain the respect of Northern whites and attain the full and equal civil rights they so desired unless they achieved success on the battlefield. By the same token, failure in battle could cause irreversible damage to their status in post-war America. Time after time, black soldiers acted with unusual valor because they so feared accusations of cowardice. They fought boldly, sometimes recklessly, to demonstrate conclusively their character and commitment to Union victory. "They had been to the armory of God," a black sergeant explained, and had received weapons of the heart, that made them daring and dangerous foesmen to be really reckoned with. For black soldiers, the Civil War was their crusade. How well did they perform in combat? They fought as well and as badly as white soldiers. When their officers trained and led them properly, black units acted as gallantly in battle as any white regiment. When their officers neglected or mistreated their troops, when they openly expressed doubts about how well their men would act in combat, and when they trained their men badly and led them poorly in battle, black commands were as bad as white units with comparable leadership problems. Perhaps Abraham Lincoln best assessed their combat effectiveness when he wrote in 1864, "So far as tested, it is difficult to say they are not as good soldiers as any." Often high-ranking officers used them in assaults. Some felt this was the optimal way to use their "innate savagery." Others justified their employment in charges for a more conventional reason. They believed that since excessive fatigue duty had cut so deeply into the drill time of black units, they might have difficulties executing intricate tactical maneuvers on the battlefield. Simple, direct assaults overcame that problem. Only at Fort Wagner did a general officer recommend placing black troops in the vanguard of the attack to rid himself of them. In critical moments, when armies entered battle and officers scraped together all available troops, generals were delighted to have black soldiers. While black units fought during the fall and winter of 1863, it was not until late spring or early summer of 1864 that the Federal armies truly felt their impact. Union Lieutenant General Ulysses S. Grant devised a strategy that placed as many soldiers in the field as possible. With the huge increase in black enlistment during the previous year, there were literally dozens of black regiments ready for campaigning. In the siege of Petersburg thirty-three regiments, or nearly one in every eight soldiers, was black. 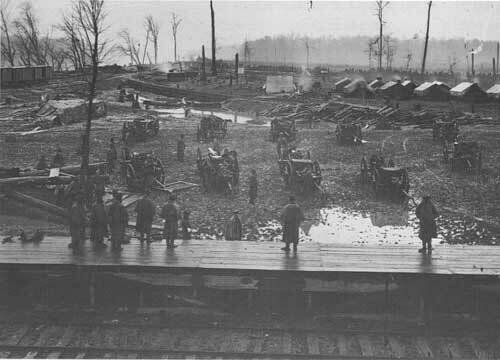 In the Military Division of the Mississippi, Sherman preferred to keep his black soldiers more to the rear, guarding railroads and pushing supplies forward. Nevertheless, black troops under his overall command participated in numerous engagements. 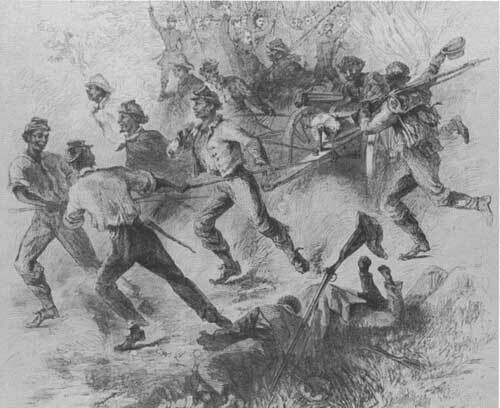 Probably the most famous battle involving black troops was the Petersburg mine assault, more commonly known as "the Crater." 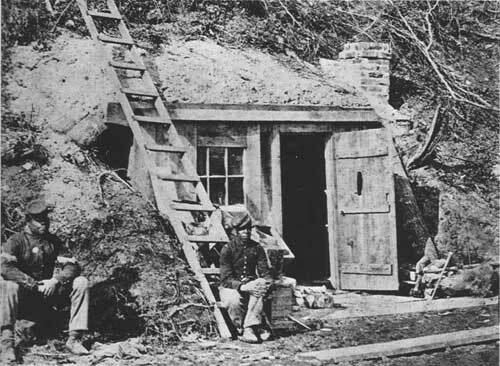 Some Pennsylvania troops, miners before the war, suggested a plan to tunnel beneath the Confederate breast-works and detonate some explosives. With the fortifications destroyed, Union troops could carry the position and break the Confederate line. They worked strenuously to dig a long mine and loaded it with gunpowder. 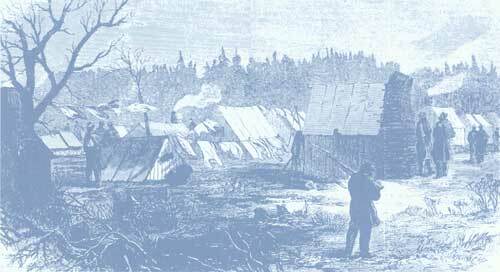 On July 30, 1864, after an aborted try to light the charge, the mine exploded. The blast created a huge crater on the site of the Confederate line. The original plan called for a black division to lead the assault. These troops had trained rigorously for the attack and looked forward to the opportunity to carry the enemy works. But Major General George G. Meade, commander of the Army of the Potomac, changed the plan. Fearing political repercussions if the scheme failed and the black division sustained heavy losses, he replaced the black troops with a white division. Union mismanagement, Confederate obstinacy, and the difficulty of overcoming the huge pit that the explosion had created soon bogged down the white troops. The Federals needed more men to exploit the break, and the first reserve was the black division. The black troops drove rapidly into the gap, but the Confederate army recovered quickly from the shock. Rebel officers directed artillery fire to cover the front, and shot and shell became so heavy that all the black troops could do was to hug the ground. With infantry support, Confederates then sealed off the breakthrough and fired on the attackers from the front and the flank. Disaster struck the Federals. Unable to advance and unable to retreat, they were trapped in no-man's-land. Throughout much of the day these Yankees hunkered down as best they could, exchanging fire sporadically with their enemy. It was only a matter of time before the Confederates gathered enough forces to launch a counterattack. When the Rebels struck, they did so with intensity, and within a matter of minutes they crushed Union resistance. Rather than surrender, most Federals elected to risk their fate and run the gauntlet back to Union lines. Many were mowed down in flight. Others refused to give up. They fought with all their might until the Confederate attackers simply overwhelmed them. To prevent any more slaughter, a Federal general intervened and ordered all troops in the crater to surrender. A pocket of Yankees did not receive the word to cease fire, though, and they continued to shoot. Some Confederates viewed the act as treachery and retaliated in kind by bayoneting wounded black soldiers. When black soldiers saw their comrades being massacred, they immediately grabbed their weapons and launched yet another vigorous attack, this one with bullets, bayonets, and rifle butts. Eventually, a Confederate officer restored order by guaranteeing proper treatment for all prisoners. If these black soldiers resisted, however, he promised every one of them would die. At the urging of Federal officers, the last black soldiers dropped their weapons and surrendered. The Battle of the Crater had ended. As the black regiments rallied to tabulate their losses, the sight was sickening. The 29th U.S. Colored Infantry entered the attack with 450 troops and exited with 128. Other regiments in the USCT sustained casualties nearly that high. "I felt like sitting down & weeping on account of our misfortune," an officer commiserated to a friend. In total, the black regiments suffered over 40 percent of the fatalities and 35 percent of the casualties, higher proportional losses than white troops in the engagement. At the battle of Chapin's Farm near Richmond, Virginia, in late September 1864, Grant employed white and black troops in an attack on the extreme left of Lee's line. The Union commanders called on black units, on the far right of the attacking force, to charge over difficult terrain against strong Confederate works. After working their way through a maze of felled trees, black troops had to wade a swamp as they approached the Confederate fortifications. Officers had instructed troops to fix bayonets and not to fire. 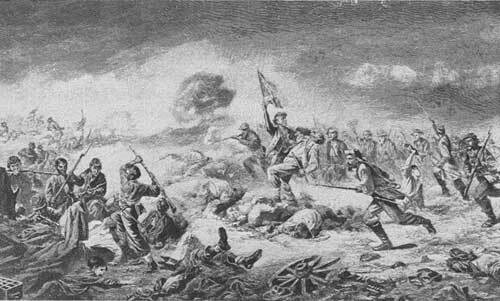 As their advance slowed to a crawl in the swampy area, Confederates poured a withering fire on the attackers. Black troops fell by the scores, and under such duress they could not resist firing back. Men then stopped to reload, and Confederates cut them down in huge numbers. Although his soldiers failed to carry the Confederate defenses there, the commander of the Third Brigade, Third Division, XVIII Corps, which consisted of the 4th and 6th U.S. Colored Infantry, lauded the true valor of his men: "Ah! give me the Thunder-heads & Black hearts after all. They fought splendidly that morning, facing the red tempest of death with unflinching heroism." One company lost over 87 percent of its men in the assault, and the 6th U.S. Colored Infantry suffered 209 casualties out of 377 men who entered the fight. 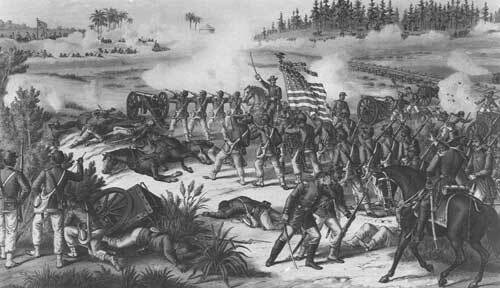 The Second Brigade in that division, also consisting of black troops, attacked near the Third Brigade. Like the men in the 4th and 6th U.S. Colored Infantry, its soldiers had to traverse a swamp and had the same problems with troops firing in the open. Nevertheless, the brigade stormed the Confederates' defensive position along the New Market Road, routed them, and held the line until reinforcements arrived. Their losses that day were shocking. The Second Brigade entered the battle with some 1,300 men and had 455 casualties. Probably the worst Union disaster that day occurred when Brigadier General William Birney directed black troops to charge Confederate Fort Gilmer, an extremely well-defended position. Black soldiers plowed through three ravines, filled with fallen timber, all the while under heavy fire. Although many men were driven back, some managed to reach a deep ditch outside the fort. Every time they shoved soldiers to the top, Confederate blasts knocked them back. Rebel forces then began to lob hand grenades and short-fuse shells down on them. The survivors had no alternative but to surrender. 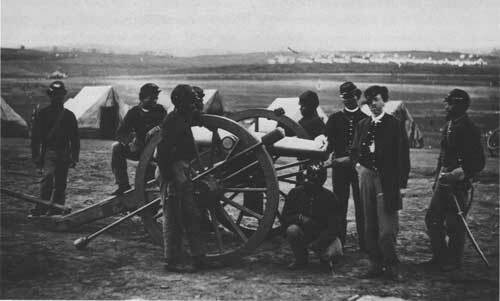 One month later, Grant used these black troops to divert Lee's attention again, this time in an attack farther north. Like the assault on September 29, this one failed, but the casualties were considerably lower. At Chapin's Farm, although black units constituted a small portion of the Federal force, they suffered 43 percent of the casualties. Far from the Petersburg trenches, inexperienced black regiment, the 5th U.S. Colored Cavalry, joined white troops in an attack on Confederates at Saltville, Virginia, in early October 1864. Among the Federals on the expedition were the 13th Kentucky Cavalry. Several months earlier, these Kentuckians demonstrated such hatred of black soldiers that they nearly murdered a recruiting officer in the USCT. As they advanced toward Saltville, the Kentucky cavalrymen heckled the black troops. But when they went into battle, the performance of the 5th U.S. Colored Cavalry shocked their white comrades. These fledgling black horsemen stormed Confederate works and drove back their adversaries. For two hours they clung to their position. When no support arrived, their officers withdrew them under the cover of dusk. The sheer audacity of the 5th U.S. Colored Cavalry in the face of strong enemy resistance changed the opinions of the white troops in a hurry. According to a captain in the 13th Kentucky Cavalry, he and his men "never saw troops fight like they did. The rebels were firing on them with grape and canister and were mowing them down by the Scores but others kept straight on." Despite their comparatively small numbers, men in the USCT played a major role in the Battle of Nashville, where Major General George H. Thomas's troops crushed the Confederate Army of Tennessee and ended Lieutenant General John Bell Hood's Tennessee invasion. At Nashville, the USCT sustained 630 casualties out of 3,500 men. As an officer in the 100th U.S. Colored Infantry walked over the battlefield, he gazed at the terrible sight of hundreds of bodies, both black and white, all of them clad in blue, who fell in combat. But strangely enough, the scene uplifted him, too. "The blood of the white and black men," be noted. "has flowed freely together for the great cause which is to give freedom, unity, manhood and peace to all men, whatever birth or complexion." Probably the single greatest success of black troops was in the Battle of Fort Blakely, Alabama, in April 1865. A division of black troops held the extreme right of the Union position. Late in the afternoon, its officers extended the skirmish line. Confederate troops tried to resist the advance, but the Rebel pickets soon fell back hastily to their main trenches. "As soon as our niggers caught sight of the retreating figures of the rebs" explained an officer in the USCT, "the very devil could not hold them their eyes glittered like serpents and with yells & howls like hungry wolves they rushed for the rebel works the movement was simultaneous regt. [regiment] after regt. and line after line took up the cry and started until the whole field was black with darkeys." The attack, unauthorized by the Union high command, followed so closely on the heels of the Confederate skirmishers that the defenders in the main fortifications could not fire on them without fear of hitting their own men. As black soldiers poured into the works, the Confederate line began to crumble. Moments later, an authorized Federal assault all around the line completed the rout. Word of the scheduled attack to the black division had miscarried, but they could not have coordinated their charge any better. In March of 1863 Congress established the Medal of Honor as the United States's highest award for military valor. 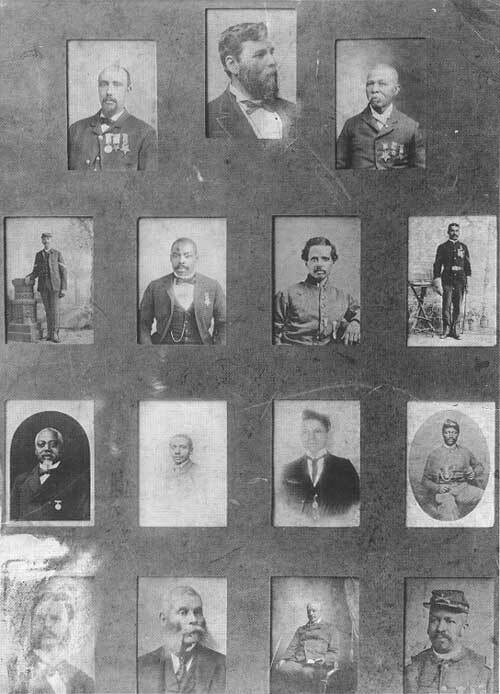 Eventually 23 black servicemen16 soldiers and 7 sailorswould receive the prestigious decoration for gallantry in action during the Civil War, a striking testament to the service and sacrifice of African American volunteers in our nation's bloodiest conflict. Perhaps the best-known of these deeds of valor occurred on July 18, 1863, during the desperate night assault on Fort Wagner, South Carolina. Twenty-three-year-old Sergeant William H. Carney of the 54th Massachusetts raised the unit's fallen banner and carried the flag across the moat of the fort and up the corpse-strewn ramparts. Though bleeding from several wounds, Carney maintained his grip on the bullet-riddled Stars and Stripes to the end of the fight and proudly declaimed to his surviving comrades, "The old flag never touched the ground." 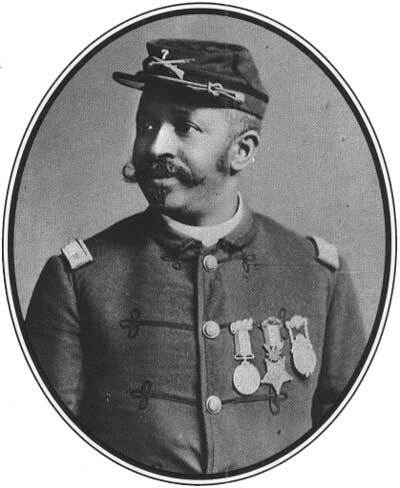 Though Carney did not receive his Medal until 1900, his was the first battlefield exploit by an African American to earn the award. The greatest number of medals presented to black soldiers for a single action came at the battle of New Market Heights, or Chapin's Farm, one of numerous engagements during the nine-month-long siege of the Southern strongholds of Richmond and Petersburg, Virginia. On September 29, 1864, three brigades of United States Colored Troops launched a determined attack against formidable Confederate defenses. Their ranks thinned by a savage fire, the disciplined regiments pressed on through a maze of obstructionsfallen trees and sharpened stakes called abatis. When white officers fell dead or wounded, five black sergeants took charge of their respective companies, and led the onslaught toward the enemy position. Sergeant Alfred B. Hilton was carrying the National Colors of the 4th USCT, when the man bearing the regimental flag was felled beside him. Hilton raised the fallen banner and pressed ahead with both flags until a bullet in the right leg brought him down. When Hilton shouted, "Boys, save the colors!" Sergeant Major Christian Fleetwood and Private Charles Veal leaped forward, picked up the flags, and pushed on to the earthworks. "I have never been able to understand how Veal and I lived under such a hail of bullets," Fleetwood recalled, "unless it was because we were both so little fellows." Veal was the only member of the Colored Guard to emerge from the fight unscathed, though his flagstaff was severed and the silk pierced with twenty-two bullets. The gallant standard-bearers were among fourteen African American soldiers awarded the Medal of Honor for heroic conduct at New Market Heights. Despite prejudice, unequal pay, and innumerable hardships, these brave black soldiers exemplified the idealism and sacrifice of men with a cause. As Medal of Honor winner William Carney put it, "We continued to fight for the freedom of the enslaved and for the restoration of our country." As they had done with the white men in the 13th Kentucky Cavalry, black units fought their way to respectability in the Union army. At Decatur, Alabama, the 14th U.S. Colored Infantry received three hearty cheers from some white troops for their excellent performance. On a Union retreat in Arkansas, a Confederate force attacked some Federals at Jenkins' Ferry. A white Yankee could not believe how well a black regiment fought. "I am entirely whiped by the nigers," he confessed to his sister. "They are as good if not the best soldiers we have. I never would have beleaved it, but I have seen it with my own eyes and there is no longer any doubt." In three tough fights on that campaign, the black troops had fought well every time. Outside Petersburg in June 1864, three black regiments received an enthusiastic reception from white cavalrymen and later soldiers in Winfield Scott Hancock's II Corps of the Army of the Potomac. The white veterans treated the black soldiers with newfound respect. "A few more fights like that," predicted an officer in the USCT, "and our Col'd boys will have established their manhood if not their Brotherhood to the satisfaction of even the most prejudiced."